Grade: C6	Fine. Folded, single-sided. 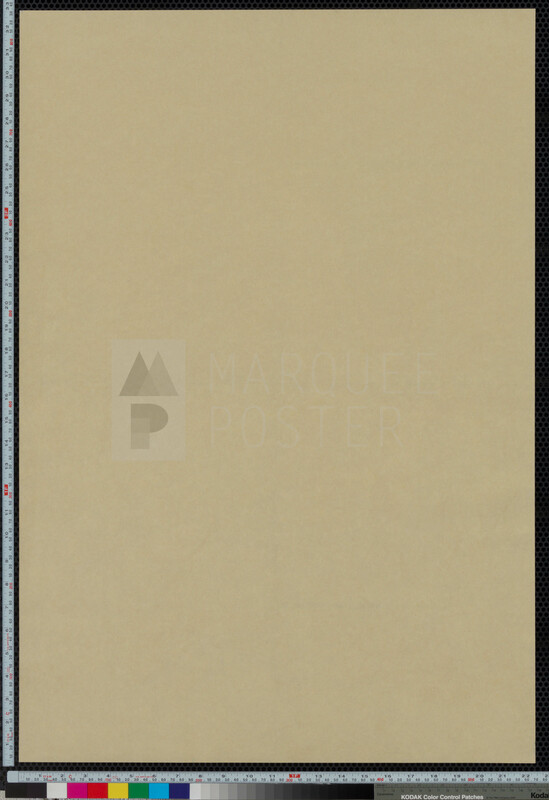 Pre-restoration condition appears to have had handling/edge wear and fold separation, now paperbacked and looks C9. 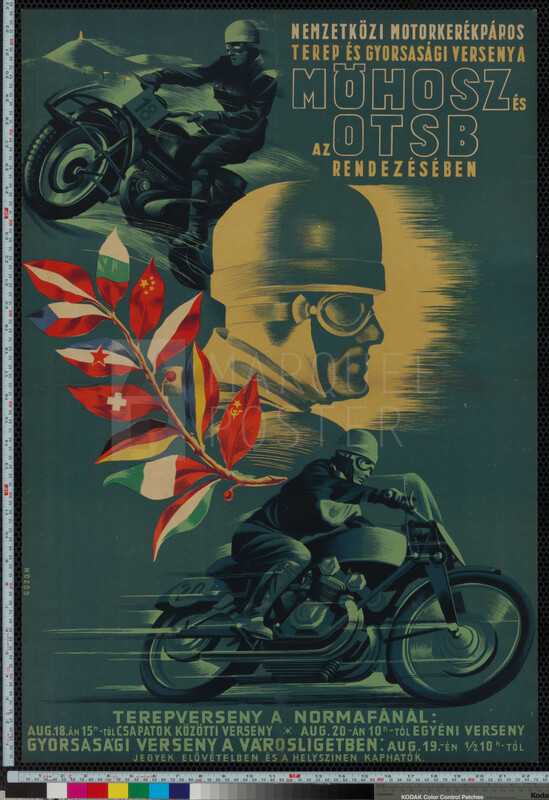 This Hungarian motorcycle racing poster has a wonderful mid century design. 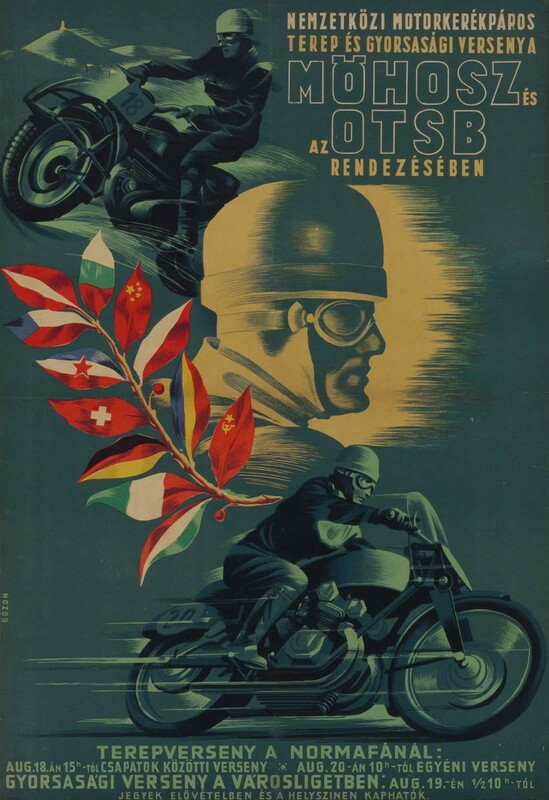 Advertising a race in Normafa, a small town outside of Budapest, Hungary, this poster features and intricate design with wonderful little details to pour over. The event was hosted by MÖHOSZ, Magyar Országos Horgász Szövetség (Hungarian National Fishing Association), and OTSB, Országos Torna és Sportbizottság (National Exercise & Sports Commission). 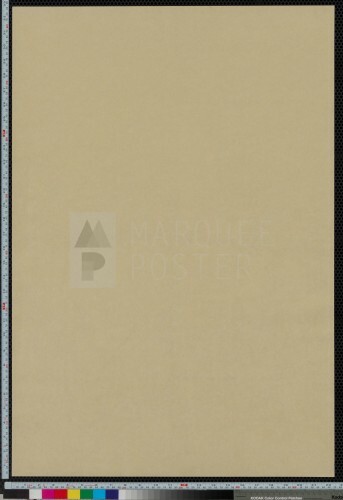 This poster came out and nine museum that was closing the reason we closed and once it’s gone it will be a long time before another surfaces, if ever.’s poster would look amazing in them and Jay’s or show room garage!